An integral part of player development is to participate in keenly contested competitive fixtures. 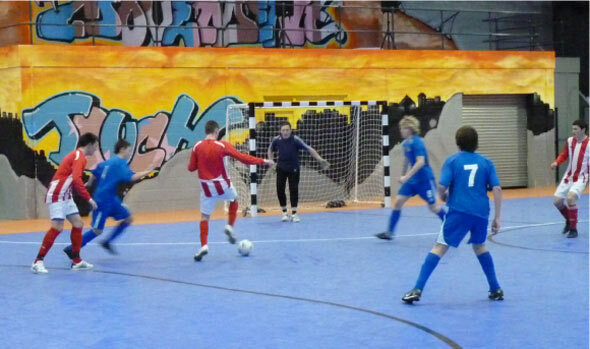 Players on the Futsal and Education Scholarship come together to play regular representative fixtures as part of the Football League Trust Futsal League. Players represent their club, having the opportunity to play against other professional club teams. 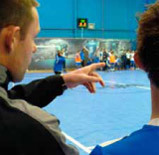 Scouts from National Futsal League teams and the professional club partners often attend these fixtures, allowing opportunities for players to trial with leading futsal, and professional football clubs. 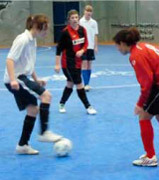 Festivals are played at the start and end of each year between all of the professional club partners involved in Futsal and Education Scholarship. Simon Abercrombie, Swindon Academy Head of offsite provision.